Renowned for being the most popular modern translation, the fully revised 2011 NIV is now relevant for 21st century readers. With 7.25pt font size, British text and wrap-over clasp this slim, attractive Bible is both accurate and stylish. Want a Bible you can take anywhere? Combining a gorgeous colour with intricate embossing, this thinline Bible is highly portable and makes the perfect gift. Fully revised and updated in 2011, this slim and stylish NIV is ideal for personal reading wherever you go. Gift or award presentation page. NIV Thinline Purple Imitation Leather Bible Anglicised by New International Version was published by Hodder & Stoughton in October 2011 and is our 930th best seller. The ISBN for NIV Thinline Purple Imitation Leather Bible Anglicised is 9781444701715. 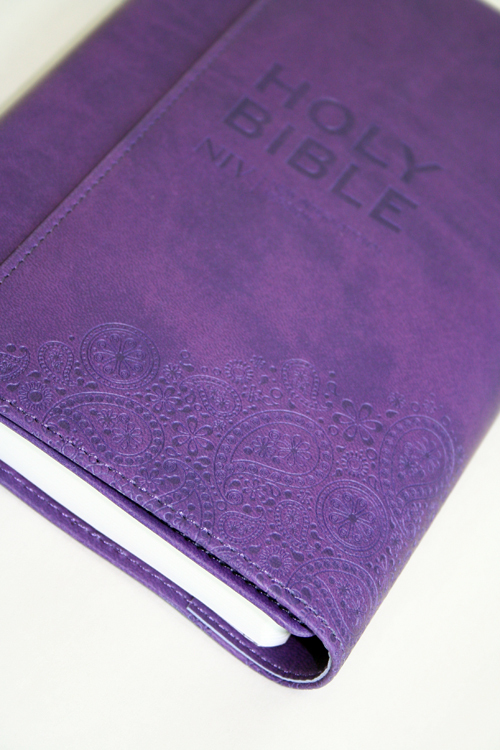 Be the first to review NIV Thinline Purple Imitation Leather Bible Anglicised! Got a question? No problem! 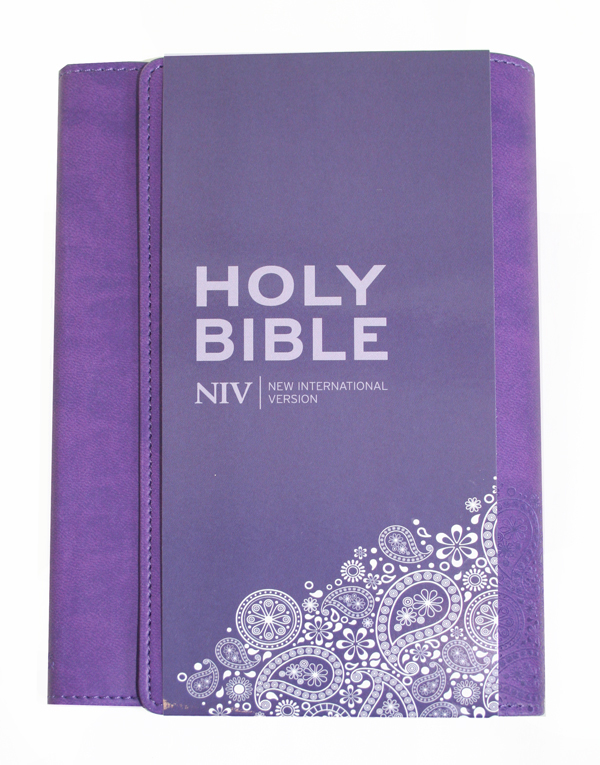 Just click here to ask us about NIV Thinline Purple Imitation Leather Bible Anglicised. A:Here's a link to our compact NIV Bibles with concordance (https://www.eden.co.uk/shop/browse.php?category_id=11&keyfeature=Compact+%26+Pocket&additionalfeature=Concordance). There should be something in there that you may find more appealing. If you have any more questions, please do not hesitate to ask. Thank you for using the Q&A Forum. Hi, I know this Bible is US English but could you please let me know which of your NIV bibles are printed in UK English. What does soft tone mean ? A:Soft tone is a term used to describe the material used for the outer cover. It is an imitation leather with a soft, warm and flexible feel. Does this Bible show Christ's words in red? A:This Bible does not feature the words of Christ in red. Does the NIV Thinline Purple Soft-tone Bible have a zip? Do you have a NIV bible with cross references and a concordance? Does this Bible have a flexible cover please? A:Yes, this NIV Thinline Bible features a flexible cover, midway between the traditional hardback and paperback bindings. 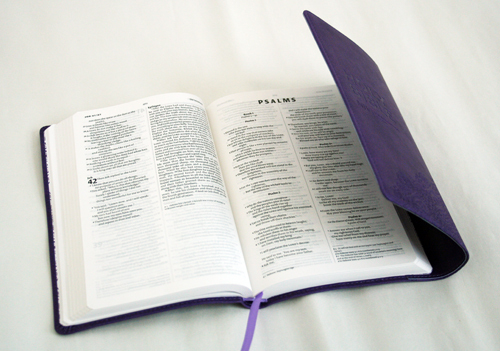 What font size does the NIV Thinline Purple Soft-tone Bible have? A:The NIV Thinline Purple Soft-tone Bible has size 7.25 font. What are the dimensions of the NIV Thinline Purple Soft-tone Bible? A:The dimensions of the this bible are 185 x 120mm.